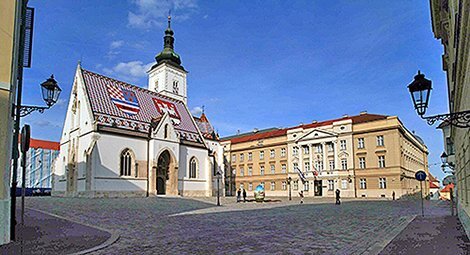 Your morning sightseeing tour of Croatian capital will introduce you to the rich culture and history of the two tiered capital of Croatia, Zagreb. Walk through the medieval core of the Upper Town to see the Stone Gate, St. Mark's Church, the Cathedral, Parliament, and Government Palace. Start off your day with a walking tour of the historic inner city built around Roman Emperor Diocletian’s Palace, a UNESCO World Cultural Heritage site. The town of Hvar has a unique cultural and historical heritage, plus a centuries-old tradition in tourism. A morning walking tour reveals Hvar’s Venetian flavor, with views of the Fortress, Franciscan Monastery and more. Afterward, enjoy a variety of island’s landscapes: vineyard covered hills, olive groves and undulating fields of rosemary and lavender. Morning walking tour of Old Dubrovnik introduces you to the many remarkable landmarks of the ancient city. View Onofrio’s Fountain and the Rector's Palace, Bell Tower, Orlando's Column, Sponza Palace, Dominican Monastery and Franciscan Monastery with its famous Pharmacy, one of the oldest in the world. Travel to the Republic of Montenegro. Head to the mouth of the beautiful Bay of Kotor, the longest and deepest fjord in Southern Europe. Above prices are in Canadian dollars, per person in twin.